Will intelligent surveillance help us to safeguard our need for security? 1	Sontag, Susan, On Photography, Penguin Books, London, 1977 2	Rubinstein, Daniel, What is 21st Century Photography?, posted on July 3, The Photographers’ Gallery Blog. http://thephotographersgalleryblog.org.uk/2015/07/03/what­is­ 21st­century­photography/ 3	Ibid. Copyright Yet magazine, Lugano, 2015 All rights reserved. With the support of Cantone Ticino from the Federal Bureau for the safeguard and promotion of Italian language and culture. The materials may not be copied, downloaded, reproduced, distributed, transmitted, displayed or published without an explicit prior written permission of YET magazine, and/or in the case of third party materials, the copyright holder of that material. 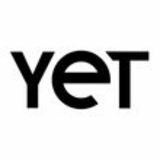 Ownership and intellectual property rights (i.e copyrights, trademarks, trade name right) of all materials, such as texts, data, photos and logos contained in YET magazine shall belong to the publisher. The materials are protected by copyright law worldwide. BIOGRAPHIES Lewis Chaplin www.lewischaplin.com Lewis Chaplin is an artist and publisher from London. Alongside Sarah P-Espenon, Chaplin runs Loose Joints, an artists’ publisher and design studio. Chaplin co-ran Fourteen Nineteen from 2009 to 2014, a project dedicated to publishing engaging young photography. Interested in an anthropological approach to images, his most recent artist book is 2041, published by Here Press. photo zines. Nevertheless, he still describes his works as “photographic” even in case he does not use photography as a medium. Jenny Odell www.jennyodell.com Jenny Odell is an interdisciplinary artist who makes work for and of the internet, often utilizing Google satellite imagery in an attempt to defamiliarize the seemingly banal. Because her practice exists at the intersection of aesthetics and research, she has several times been compared to a natural scientist (specifically, a lepidopterist). Odell’s work has been featured in TIME’s LightBox, WIRED, The Atlantic, The Economist, and several Gestalten books. It has been exhibited locally as well as internationally, at Les Recontres d’Arles, Fotomuseum Antwerpen, the New York Public Library, the Google Headquarters in Mountain View, CA, and East Wing in Dubai. Odell is a Bay Area native and currently teaches internet art and digital/physical design at Stanford University. Esther Hovers www.estherhovers.nl Esther Hovers (Born in 1991 in Amsterdam) graduated from the Royal Academy of Art of The Hague. In her work, she is interested in how political power is influential in public space through urban planning. In 2015, she won the Startpoint Prize. Erik van der Weijde www.erikvanderweijde.com Erik van der Weijde was born in Dordrecht, NL, 1977. He lives and works in Natal, BR. He is the founder of the publishing house 4478zine. His work has been exhibited worldwide. Micheal Florence Schorro www.michalschorro.ch Michal Florence Schorro (1987, Männerdorf CH) is an independent photographers who lives and works in Bruxelles (BE). After her Visual Kommunikation BA at the Hochschule der Künste Bern in 2013 she graduated with the Master in Art Direction at ECAL (Lausanne). During her studies she wins the Young Talents Award by Casino Barrière Montreux Foundation. Her work has been exhibited in several festival such as Les journées photographiques de Biel/Bienne, Auswahl/Selection du Fotoforum Pasquart, Bieler Fotodays and Vfg Nachwuchsförderpreis. Her work is also part of Fotografie, Film und Video collection fo Kunstmuseums Bern. In 2015 she wins the Atelier Suisse de Bruxelles residency. Kurt Caviezel www.kurtcaviezel.ch Kurt Caviezel (Switzerland, 1964) lives and works as an independent artist in Zürich, Switzerland. His work was awarded the Manor Art Prize in 2002, and he won the Award of the UBS Culture Foundation in 2010. Kurt Caviezel has published the photobooks Red Light (2000) and Points of View (2002). His book The Encyclopedia of Kurt Caviezel was published in 2014 by Rorhof, on the occasion of his exhibition at the Italian Galerie Foto-Forum. Prune Simon-Vermot www.simonvermot.ch Prune Simon-Vermot (CH) Born in La Chaux-de-Fonds in 1987 is a Swiss based photographer. After attending the Blaise Cendrars High school in La Chaux-de-Fonds (2002-2005) she moves toward studies at HEAD Geneva (2006-2010). Thereafter she assisted the Lausanne based photographer Matthew Gafsou for a few months. BIOGRAPHIES ber 2014. She writes about photography and photobooks for several publications, in both print and online, including MAPP Editions, Emaho, Photobookstore.co.uk, The Photographers’ Gallery Blog, Objektiv, 1000 Words Magazine and Café-Crème. Previously she was co-director of Slideluck London. In that capacity she co-curated a slideshow for Encontros da Imagem 2013, art-directed and co-curated Hungry Still, Slideluck London retrospective exhibition at QAUD and photo-cook-book, produced in partnership with FORMAT Festival (Derby, UK) and the Factory of Akina Books. She was also coordinator & assistant curator of FORMAT Festival. Colin Pantall www.colinpantall.com Colin Pantall is a writer, photographer and lecturer based in Bath, England. His photography is about childhood and the mythologies of family identity. A senior lecturer in photography at the University of South Wales in Newport, he writes about photography for British Journal of Photography, Royal Photographic Society's RPS Journal and Photo Eye, and is a photography blogger. Anouk Kruithof www.anoukkruithof.nl Anouk Kruithof (1981) is a Dutch artist based in New York. Her multi­layered, interdisciplinary approach takes the form of photographs, sculptures, artist-books, installations, texts, printed take away ephemera, video and performance. Her work explores and questions the philosophy and physicality of photography. Her installation Subconscious Travelling was included in MoMA’s New Photography exhibition Ocean of Images. Recently a solo exhibition Sweaty Sculptures was shown at Green is Gold during KopenHagen Art Week and AHEAD (version 1) at FOUR A.M. in New York and #EVIDENCE, a new project is on currently on view at BoetzelaerINispen in Amsterdam. Kruithof’s tenth artist-book AUTOMAGIC will be co-published with the Spanish art-book publisher Editorial RM in 2016. Her work has been exhibited worldwide. Kruithof is also co-creator, director and jury member of the new Anamorphosis Prize, which award $10,000, no strings attached, to the creator of the best self-published photo-book from the previous year. The prize was launched for the first time in spring 2015. The work by Adrien Missika, who portrays himself as a “professional tourist” is to be found at the meeting point of travel experience and exotic representation, advertising iconography and subjective involvement. Through a wide range of media, from photography, video, to sculpture and installation, the artist records his finds encountered during travels to the USA, Hawaii, Turkmenistan, India, Egypt, Russia, Lebanon, Brazil, to name a few. The work by Missika challenges, as much as it plays with, the vocabulary of advertising and visual systems developed by the travel industry. Advertising is nourished by fetishes and totems encouraging exotic perceptions and reducing this sought­ after unknown to a certain number of timeless signs like palm trees, waves, sun, that form caricatural, partial, if not populist items. Darren Campion www.theincoherentlight.com Darren Campion is a writer on photography, with occasional digressions into contemporary art and related topics. Since 2009 he has maintained The Incoherent Light, which is a blog dedicated to exploring various perspectives on photography. He is a frequent contributor to several publications, most notably Super Massive Black Hole, Of the Afternoon and Paper Journal, where he has a regular series of features. Emmanuel Crivelli www.dualroom.ch Born in Switzerland in 1985, Emmanuel Crivelli attends Graphic Design at ECAL/ Ecole cantonale d’art de Lausanne, where he gets his diploma in 2008. He’s cofounder of Dorade, a Swiss-French magazine that deals with arts, fashion and photography. In 2012 he wins the Swiss Design Award with this project. In 2010 he founds the graphic studio Dual Room, which deals with graphic design mainly in the cultural field. 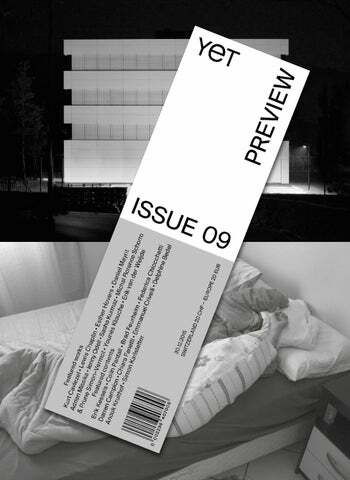 In 2014 he creates POV Paper, a publication based in Switzerland and Germany on sexuality. The edition wins the Essence 15 – Best of Swiss Graphic Design prize. Since 2015, Emannuel has been teaching graphic design at different universities in Switzerland and abroad. Adrien Missika www.adrienmissika.com Adrien Missika was born in 1981 in Paris and graduated in 2007 from the ECAL in Lausanne. He won already different art and design prices like the Guggenheim Foundation Prize. Nowadays he lives and works in Berlin. to command. It brings order when chaos creates confusion, controlling in an “enlightened” rather than “dictatorial” way. It gives an outline that highlights rather than creating barriers. To claim that a work, a series or a photographic exhibition can be uniquely accepted, excluding any interpretation other than the predicted one, is not only foolish but also arrogant. Since two subjects interact with each other, endless possibilities of interpretation, vision, reception open up. All of them are legitimate in their existence. Maybe democracy is not the perfect form of government, but it will always be the best choice over dictatorship. In each series, the wise use of photographic practice transforms composition and perspective into tools able to tell the subjects in a visual language that overlaps, within a unique whole, suggestions of opposite meanings as ordinary and exceptional, tragic and comic, lawful and forbidden, ingenuity and malice. Once in a lifetime is not only a song by Talking Heads. “Letting the days go by / water flowing underground” are not just the lines of a lyrics. They are also the most The author creates photographs that can suitable words to describe the artistic influence the perception of the observer research of photographer Erik van der Weijde. and overcome preconceived ideas and prejudices. A visual experience that, like in an Through a recognizable, “purely documen- intimate epiphany, casts a different light on tary” and ironical photographic style, the details and aspects of everyday life. work of the prolific Dutch artist reveals the many aspects hidden in the reality around In the series This is not my wife, Erik van der us. His lens seduces the viewer with a sense Weijde portrays his wife Ana in different of suspense consisting of a double perposes and attitudes: in the sweetness of spective that allows you to simultaneously motherhood, in the spontaneous smile of a touch the surface and the hidden beauty young woman, in the sensuality of seducof things. tress, in her dreamy mood, Ana appears always different as Vitangelo Moscarda in In the photographic series by Erik van der the novel One, No One and One Hundred Weijde – most of them in black and white Thousand by Luigi Pirandello. Similarly, – each photo doesn’t correspond to an image Erik van der Weijde shapes the portrayed in its own right, but is rather an element subjects in such a way to show them always of a creative process that develops and ends different through the photographic practice. within a publishing activity (over forty works, including magazines and fanzines, All his work is an invitation to us viewers published in twelve years of artistic to observe with greater sensitivity and to career) that is the final part of a long project. always give a new attention to the world that we think we know. This makes any photoThe family portraits dedicated to his wife Ana graph “iconic, unique and universal”. and his son Caetano alternate with historiChanging perspective and opening up to a cal themes designed to investigate aspects freedom of thought and vision is a natural such as the Hitler’s National Socialism, consequence. In this way, each image by the phenomenon of prostitution, the archi- the artist becomes the space of a question tecture and the urban landscape of Brazil: in black and white, waiting for our multiple just some of the subjects that the artist, answers. through his lens, transforms into an opportunity to reveal the oxymorons of life. work has revolved around unreliable narratives of power – is this, then, just another mode of staging? If so, its elaboration is impressive, indeed nearly faultless. The only nagging omission is that Bourouissa’s role in eliciting the images, in terms of directions or specific requests, is not made even more explicit in how the book is put together as this would undoubtedly have further clarified the relationship between the framing narrative and the experience itself. With Temps Mort, Bourouissa is bringing together two seemingly distinct areas of experience, one that is relatively new, the increasingly ubiquitous form of telecommunications, and one that is, even in its modern form, relatively old – disciplinary incarceration. While, on first appearances, he is simply using one to describe the other, it would be a mistake to assume that is really all he’s doing with the form of the work, which isn’t and can’t be neutral. By using what is (probably) a smuggled and contraband mobile phone to create a sketch of prison life from an inside perspective, he is highlighting the essential aspect of imprisonment, which is cut the prisoner off from the “outside” world, the loss of citizenship and individuality. We can also understand the effect of this strategy as acting counter to the tendency of all power structures to make their operations invisible and unaccountable. Prison is in many ways the archetypal structure that power repeats everywhere and by showing it in this way, the question underlying the work is the extent to which the mesh of data that now ensnares us all is related to the disciplinary role of the prison, precisely at the moment when that control is being extended outside the walls of the actual institution to encompass society as a whole. There are certain things that we as humans instinctively avoid: violence; confrontations; daytime television; bears and losing control. Our greatest desire is to do just that: controlling and trying to steer clear of any and all complications in our daily lives. Our greatest misfortune is, that with all the balls we juggle frantically in life, it is impossible to achieve. Nowadays most photography is portraying perfection. Contemporary popular culture is drowning under a tidal wave of superficiality and overperfection. Posed, polished and controlled. As if it were a reflection of our endless search for clarity and calmness and an antidote for the chaos in our lives. Technology allows us to refine the desired illusion of perfection even more. Digital photography has created an abundance of images. We shoot and shoot until we get it right. The imperfect pictures get deleted and the good ones get a filter or a touchup. In our perfection–obsessed culture we shy away from errors and that is, in my humble opinion, a disaster. No one is perfect and that’s something that should be celebrated and embraced. It might sound strange but when everything is perfect, there is no creativity anymore. We grow up being rewarded for drawing between the lines, sitting straight and keeping our mouths shut. We’re all taught to strive for neatness and perfection. And above all we are taught to be careful. As a result most people try to stand out by doing their very best, by playing save and by trying to be perfect. But guess what? That’s exactly what everyone else is doing. That’s why letting go of the firm grip we try to have on our work (and life on general) is so very liberating. Losing control, complications, confusion and accidents should be embraced and loved, not avoided or deleted. Less control adds tension, surprise and excitement. It brings unexpected beauty to life – and therefore also to photography.